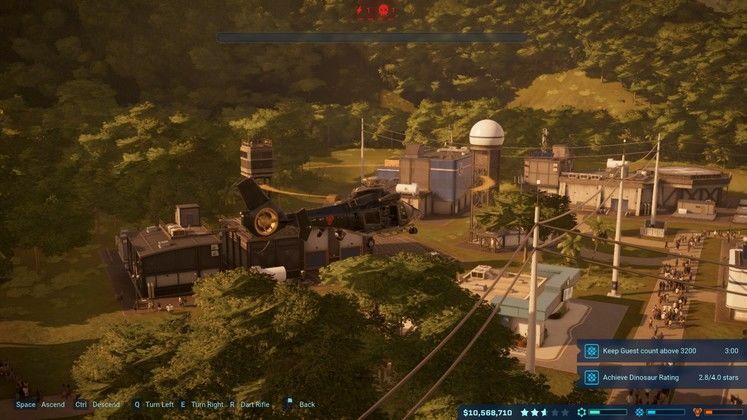 We hope we’re not playing our hand early, but when it comes to dream game pitches - a Jurassic Park sim management game made by the creators of Rollercoaster Tycoon and Planet Coaster is up there with a Fallout game being made by Obsidian. 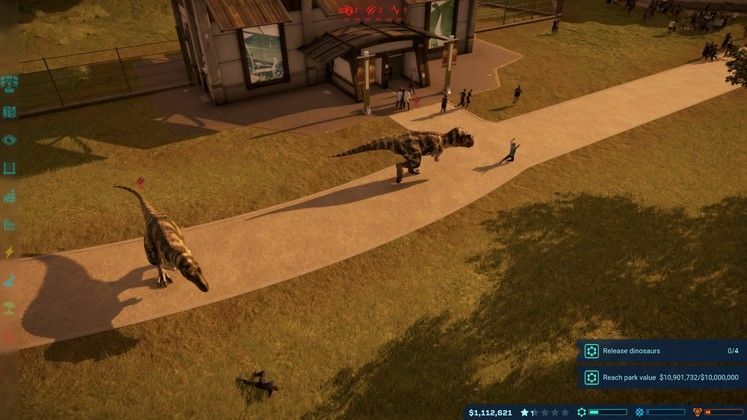 So to say we were excited about Jurassic World Evolution is a massive understatement. 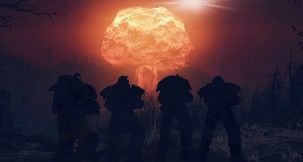 The game’s now out, we’ve played a great deal of it, and of course the big question is now: does it live up to our very lofty expectations? If you’re not aware of the game, the setup is that you’re in charge of creating and managing Jurassic Parks across six islands, which you unlock as you do well - that’s five story islands and one ‘creative sandbox’ on the classic island of Isla Nublar. The campaign islands, The Five Deaths, can be moved back and forth between at any time (as long as you’ve unlocked them) and ramp up in difficulty as you go - in terms of geography, storms, sabotage, missions, and just plain ol’ dinosaur grumpiness. Not that you’ll realise this immediately. The first island, Isla Matanceros, is very much a tutorial island in everything but name - but you can still go back to it at any time, either to get some research or digging for fossils done (these can be done on any island once unlocked). It’s also, dare we say it, a little dull - and where a few of the game’s initial shortcomings show themselves. 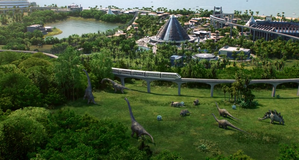 Most of the dinosaurs will behave themselves here, as long as you keep them comfortable, and with no other problems like storms you’re left with straight park management - and Evolution’s isn’t the best. Management is generally fun - making sure the dinosaurs work together and are happy, linking up paths and power lines, researching new features, sending out expeditions to get fossils for new dinosaurs, etc. Not bad, but compared to pretty much every park management game from Theme Park onwards it’s very limited. You have no direct control over staff or tourists, and aside from the occasional pop-up you have no clue what people actually want. Buildings can have their prices raised, but can’t be visually customised. There are no toilets, snack carts, benches, entertainers, queues, or any real rides. There aren’t any cosmetic attractions either, like lamps, signs, water fountains, rocks, or statues. 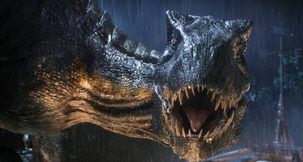 The focus in Jurassic World: Evolution is squarely on the big picture, and the dinosaurs. You make money, you keep the dinosaurs happy, and as long as they keep the eating of tourists to a strict minimum things will be fine. However, it’s not until the second island, Isla Muerta, that this becomes tougher to do. Storms will play havoc with your power, dinosaurs (especially the damn Raptors) will just break out for fun, and sabotage will come into play. 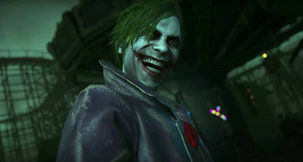 I once lost all power to my island and had to manually take a jeep and reboot every power station - it was nerve-wracking, and I wasn’t even in danger. 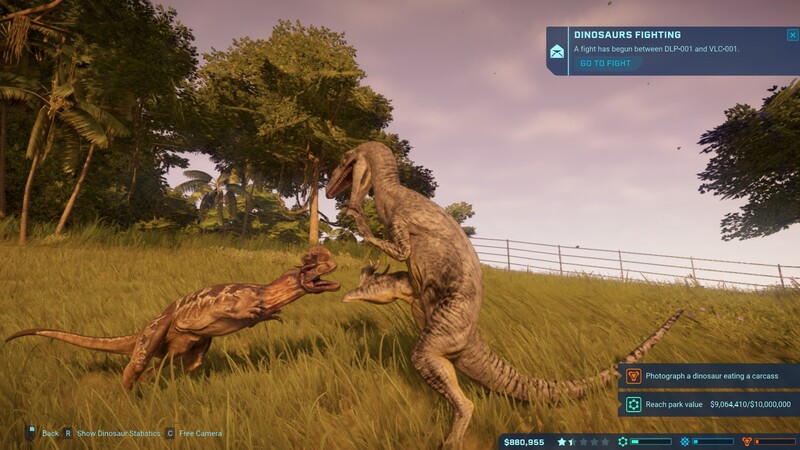 The most important thing you have to realise is that all the focus on Jurassic World: Evolution is on the dinosaurs - making them happy, keeping them away from each other and the guests, getting new ones, splicing them, and just watching them stomp around. It is a lot of fun, and takes a lot of effort, catering to their needs, and frankly it’s a joy every time to see one emerge from incubation. They’re the stars of the movies, and the stars of the game, and you’ll want spend all your time with them. Apart from maintaining your park and your dinosaurs, the main thrust of Evolution is about completing Contract missions from the three divisions - Entertainment, Science and Security. 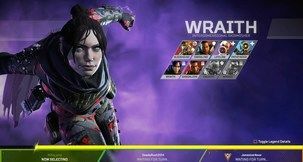 As you complete these you increase your reputation, get various bonuses, and can unlock various things. This is also where the story plays out, and we like how subtle it is. 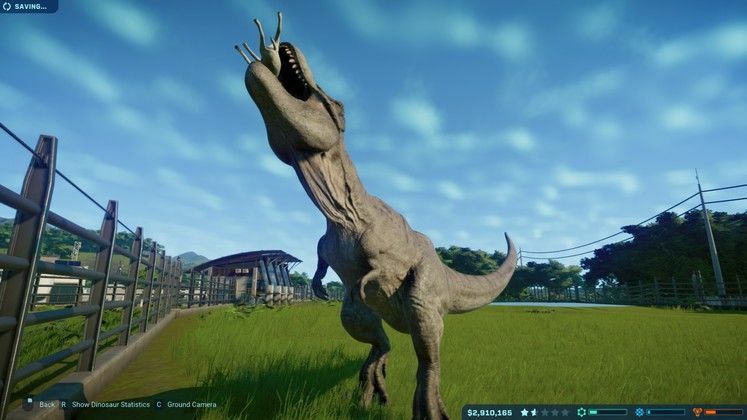 What we don’t like is how Contracts range from easy (half of them I completed in a minute or so) to nearly impossible - one asked me to get my Park to a 5 star rating, something I still haven’t accomplished. Our system is an AMD FX-8300 Six-Core Processor, 16 Gb RAM, Nvidia GTX 1050 Ti 4Gb, and Windows 10 64-Bit, and we ran the game with all settings turned to maximum and didn’t have a lick of slowdown ever, not even when the storms were at their stormiest. It even loaded quickly, which was a relief. I’d start the game and before I had a chance to look at my phone I was in the game. Excellent. The graphics and the sheer attention to detail in this game are amazing. The animation on the dinosaurs is, seriously, movie quality - and it’s part of the reason why the game’s so much fun to watch. The sheen on the water, the way the wind whips the trees up during a storm, the textures on the animals, it’s all incredible. Even the audio is amazing - zoom on to a metal roof while it’s raining and you’ll hear the rain hitting it, or zoom in at key moments to set the dynamic soundtrack off. 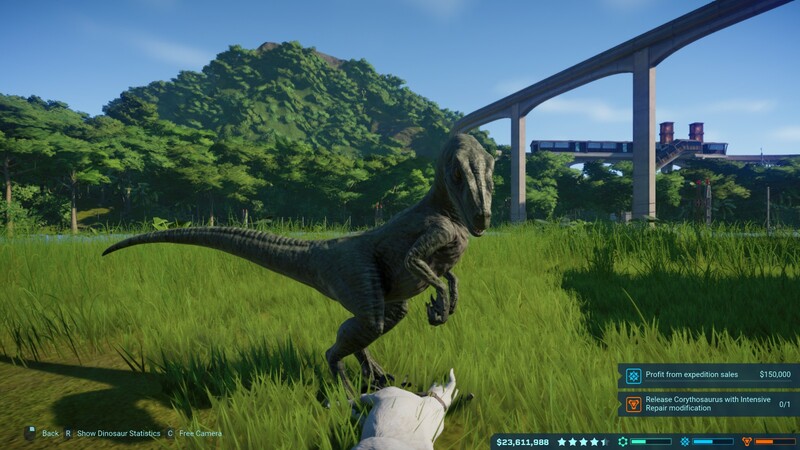 I get chills whenever I release a T-Rex. No matter what, we want to say that Jurassic World Evolution is tremendous amounts of fun, and incredibly addictive. On the surface it seems like it’s missing options, but there’s so much going on at any one time worrying about putting down toilets or firing security guards would probably make things over-complicated. 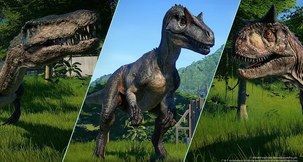 Frontier has focused on fun and dinosaurs, and in making a management game everyone can enjoy, and we enjoyed every moment of it - and we won’t stop until we’ve got everything unlocked. We’re not sure about replay value, but initial value? We don’t want to play anything else. 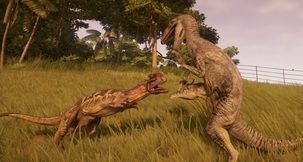 Jurassic World: Evolution may not have all the options most management gamers would expect, but it makes up for it with the best dinosaurs of any game. It’s missing quite a lot of features that have been standard in sim games since Theme Park, such as staff and guest interaction and park customisation options. But Evolution isn’t a game about making the tourists happy - it’s a game about making the dinosaurs happy. Find them, incubate them, cater to their needs, it takes up all of your time and it’s time you’re happy to give - and when the disasters roll in, that’s when things get really fun. Jurassic World Evolution may not be the best theme park management game, but it’s the most exciting dinosaur management game. And that’s enough for us. That thrilling moment when you release a T-Rex into the wild for the first time. And then you panic when you realise you incubated him in the herbivore paddock by mistake. 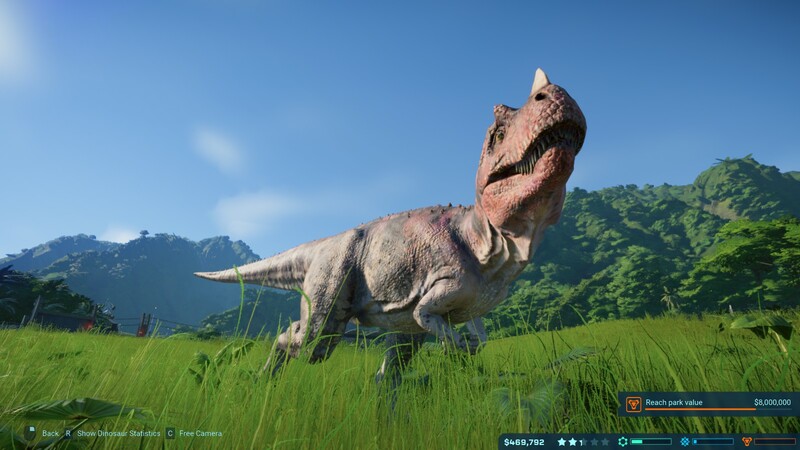 The best dinosaurs in any game ever. They’re amazing. Graphics, animation, sound, attention to detail - all fantastic. The most exciting management game ever. Missing a lot of the features most theme park games have, including guest and staff management. Limits depth. 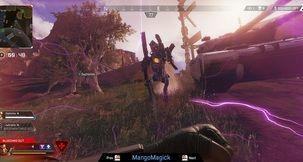 Contract missions are a bit unbalanced - often either too easy or too hard.